Multinational heavy metal band RAVEN LORD have announced to work on close collaboration with R-MINE PRODUCTIONS. Multinational heavy metal band RAVEN LORD have announced to work on close collaboration with R-MINE PRODUCTIONS. The Belgium based booking agency is known for their many Summer festivals that they organise in Europe as well as tour planing for many bands. 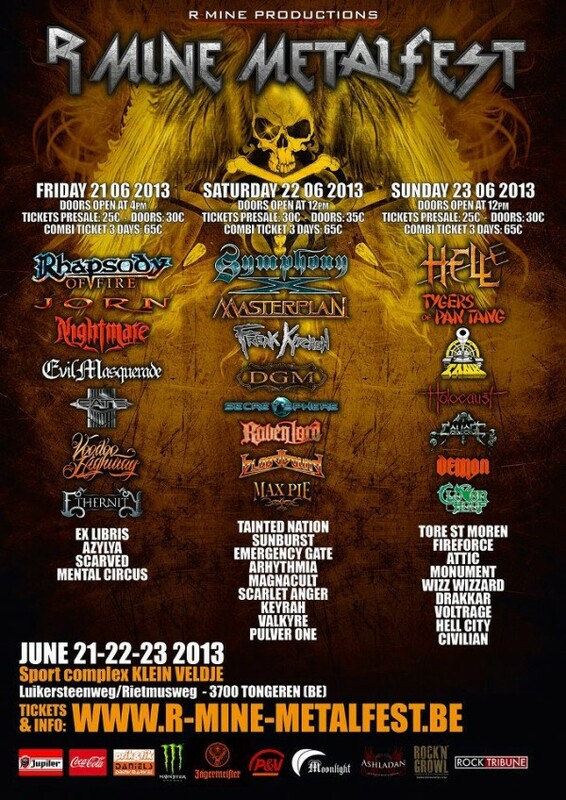 RAVEN LORD is already confirmed for the R-MINE METALFEST 2013 playing main stage Saturday 22nd June 2013. On later this year an EU/UK tour is in planning in early October 2013.